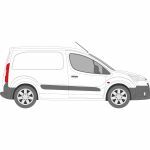 Citroen makes a range of vans for a variety of purposes including panel vans and minibuses ideal for both commercial activities and leisure use. 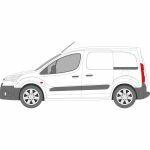 Run a business that fits glass for Citroen vans? Van Glass can help. 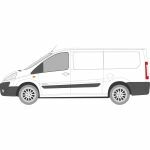 Whether you’re replacing customers’ broken windows, carrying out a Citroen van conversion or anything else, we supply high-quality aftermarket van glass to ensure your customers get the best. To order yours, have a look at the vehicles we stock below. 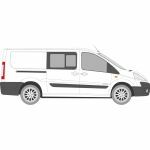 Or give us a call on 01228 810 018 or use our contact form to find out more about our Citroen van glass. Need your Citroen vehicle glass in a rush? No problem. If you order before 17.30 Monday - Thursday, we’ll deliver yours the very next day (UK mainland only). 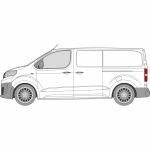 Looking to have van windows fitted? Van Glass only supply the windows and don’t fit them. However, our parent company tradewindscreens.co.uk based in Carlisle does. Visit their site for more information. Want a little help making sure you get the right glass for your customers? Get in touch with Van Glass via our contact form or call on 01228 810 018, and we’ll be more than happy to help you get sorted.